Create groups in Azure AD for Admin, Writer, and User roles. 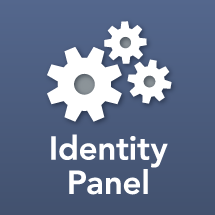 Login to Identity Panel, and apply an Identity Panel Express, or Identity Panel Enterprise license key. Click Next Step on Providers page. In on-premise Identity Panel go to Settings -> Providers. Open Windows Services and stop SoftwareIDM Maintenance Service, and modify it to run under a specific domain user account (instead of local system). Go back to us.identitypanel.com. Click Next Step and Finish until the startup walkthrough is complete. Configure dashboard modules as desired.